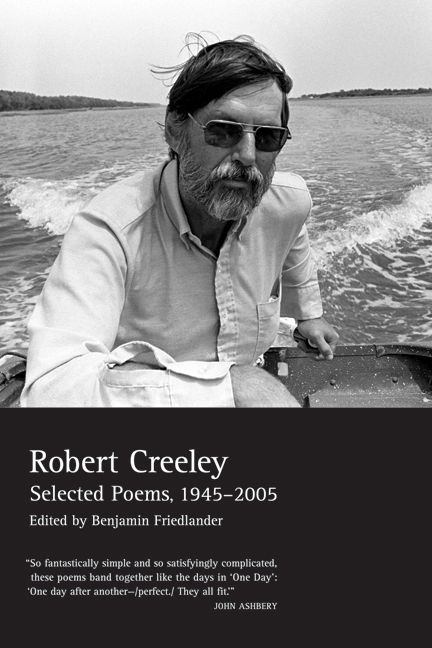 This new, compact Selected Poems offers for the first time a balanced survey of Robert Creeley's entire sixty years of poetic accomplishment. It showcases the works that made him one of the most beloved and significant writers of the past century while inviting a new recognition of his enduring commitments, fluency, and power. Robert Creeley (1926–2005) published more than sixty books of poetry, prose, essays, and interviews in the United States and abroad. His many honors included the Lannan Lifetime Achievement Award, the Frost Medal, the Shelley Memorial Award, and the Bollingen Prize in Poetry. He was a member of the American Academy of Arts and Letters and Distinguished Professor in the Graduate Program in Literary Arts at Brown University. Benjamin Friedlander is Associate Professor of English at the University of Maine, is author of Simulcast: Four Experiments in Criticism among other books. He coedited The Collected Prose of Charles Olson (UC Press) with Donald Allen.